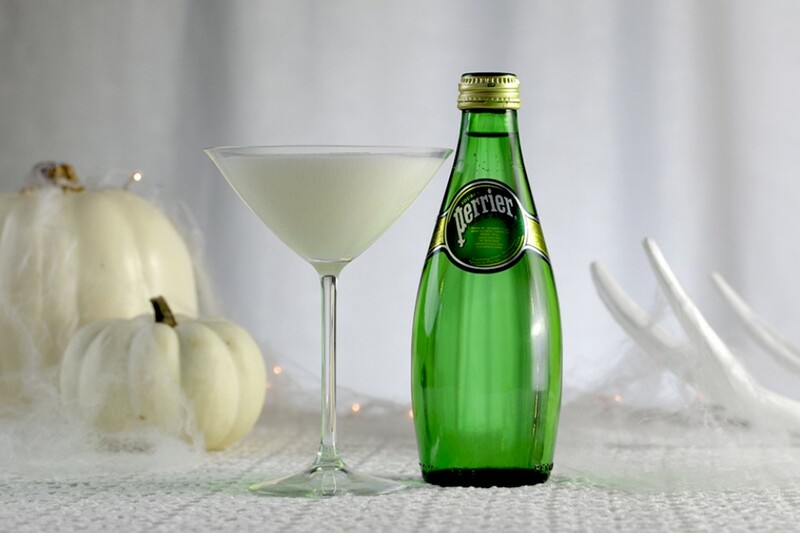 Dress up your classic cocktail with a classic costume. Mix vanilla simple syrup, cream, and vodka together in a cocktail shaker, then serve in a chilled martini glass. Top with PERRIER and serve. Garnish with toy spider or candy corn. Hold the vodka and make a creamy soda.